Food & Drinks For Pleasure: Seafood at home for 2! Seafood at home for 2! It's executive chef Lewis night again. We featured two shellfish dishes. 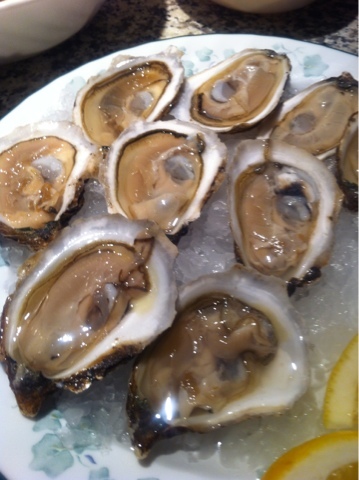 Two variety of oysters, French Kiss and Glacier Bay. Also, mussels with a home made tomato cream sauce. Let's see some photos shall we? 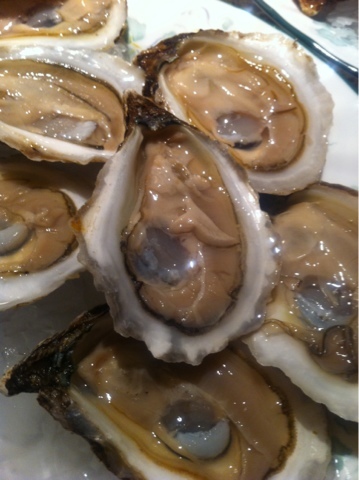 First we have French Kiss Oysters, slightly saltier than your common creamy oysters. Next up Glacier Bay, bigger and fuller in size. Yummy freshness. We also bought white wine vinegar and fresh horseradish to pair with the oysters. I have to say it's one of my favourite pairing. Better than seafood sauce or tabasco! Fresh horseradish is slightly sweet, which was kinda on a surprising front! 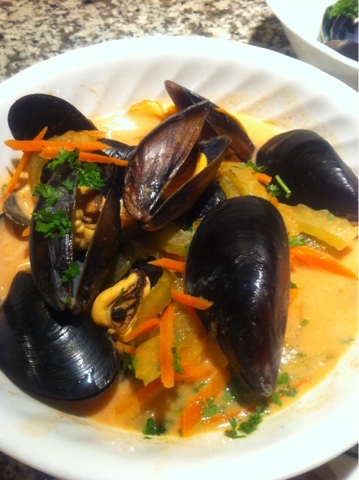 Mussels cooked with a tomato and cream sauce with carrots and celery. Topped with home grown parsleys. The sauce is to die for! 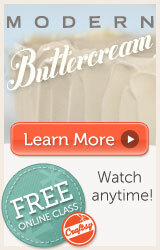 You will not stop dipping it. I wish there was bread! 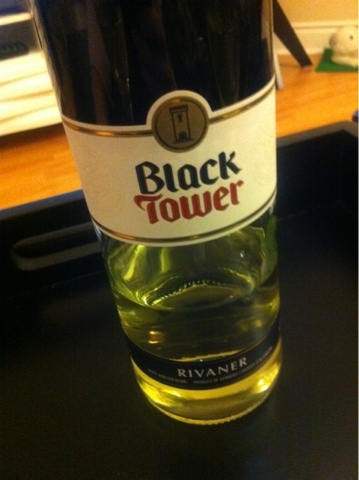 We finish off the entire meal with a Black Tower white wine. Sweeter end, but I like it compared to the common dry whites that pairs with seafood. Overall a fantastic fulfilled dinner. P.S. all seafood purchased at Diana's.